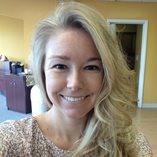 Kristen of Been There, Run That! 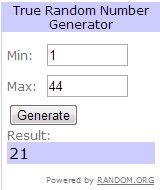 Congrats and I will be contacting you about how you will receive your two free passes to the April 11 event. If you didn’t win you can still use the promo code “Valentine” (case sensitive!) to get 10% off your ticket purchase until this Thursday 2/14! See you all there! 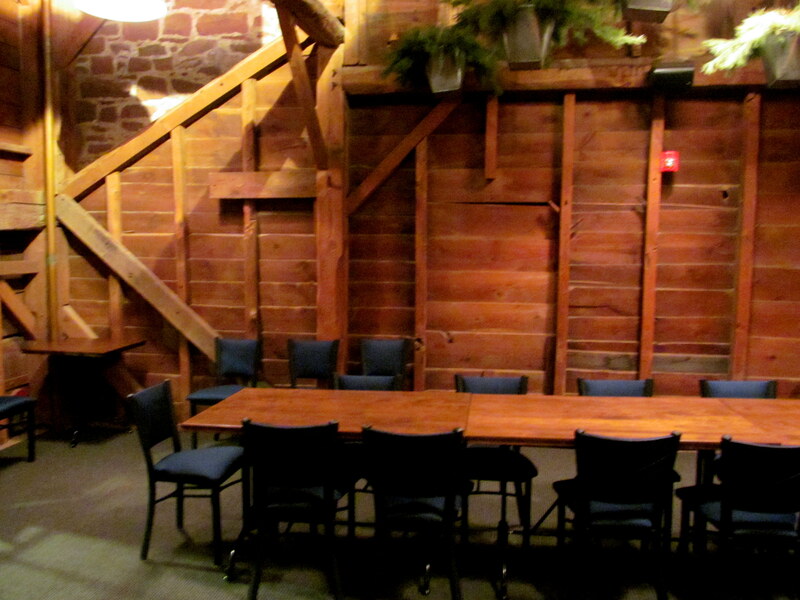 You know I adore Millwright’s in Simsbury, CT. Oh, you don’t? 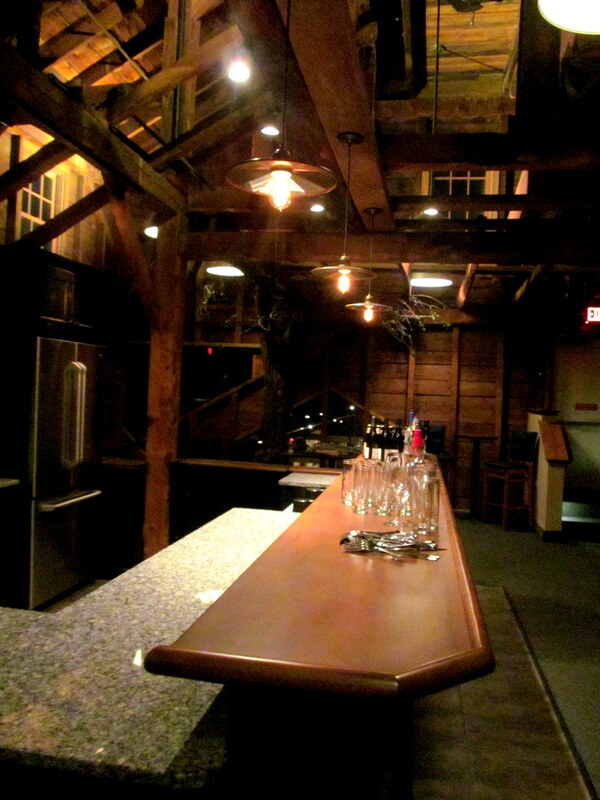 Then read my recap posts about my experiences in their dining room and tavern. 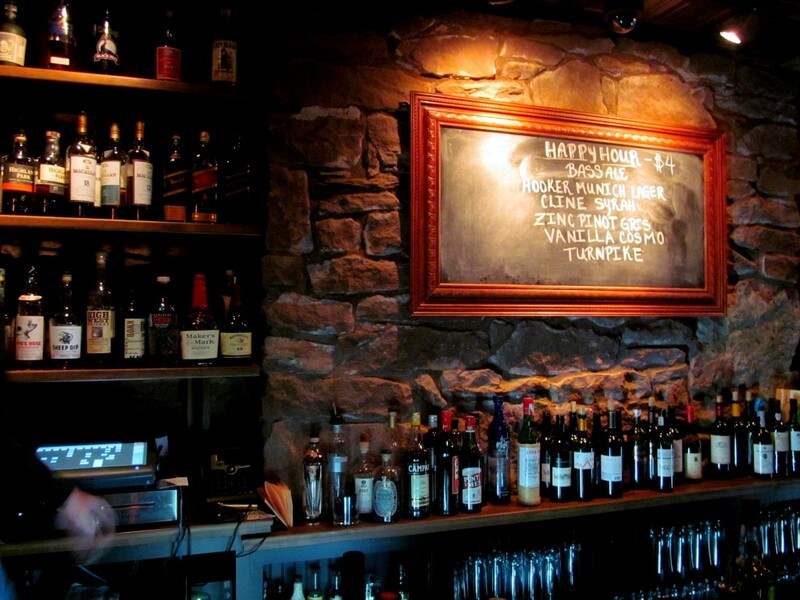 I spy happy hour specials! They just started up Tavern Tuesdays downstairs. Each Tuesday, a menu of comfort food and some lovely live music (by a fireplace no less) will make my least favorite day of the week (come on, you don’t have that post-weekend high anymore and it’s not even halfway through the work week) a whole lot better. The talented Courtney Drummey singing acoustic versions of some of my fave country songs! I’ve been raving about Millwright’s to my co-worker Walter, who used to visit the place when it was a different restaurant. He’s been so curious to check it out so I brought him with me for a drink on the first Tavern Tuesday last week and introduced him to the fantastic barman, Chris Parrott, and the maitre d’ and sommelier, Brent Bushong II. I insisted he try Chris’s Aviation (gin, creme de violette, citrus), the same cocktail I had during my last visit. Walter was, unsurprisingly, very impressed by its unique flavor. He said it was like nothing he’d had before! The Aviation is on the right. 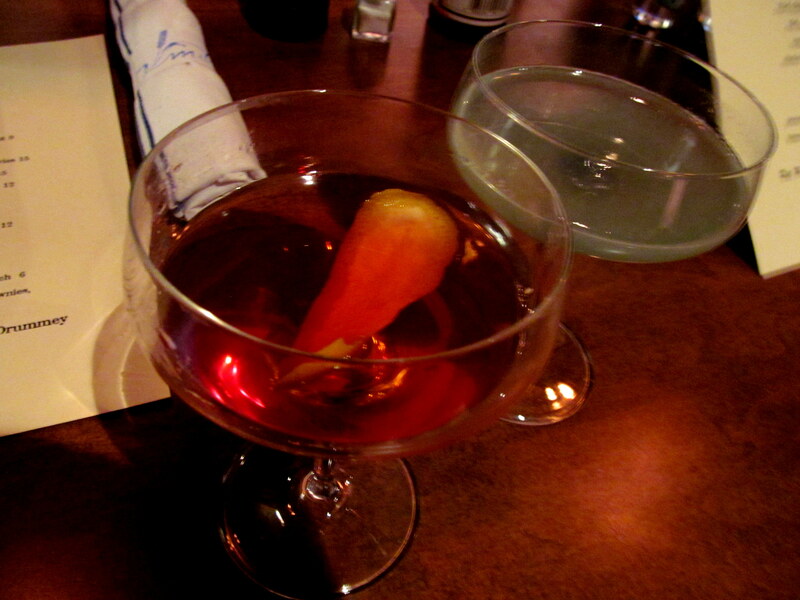 I went for a beverage I’d also ordered last time but was not able to finish and drive home safely. 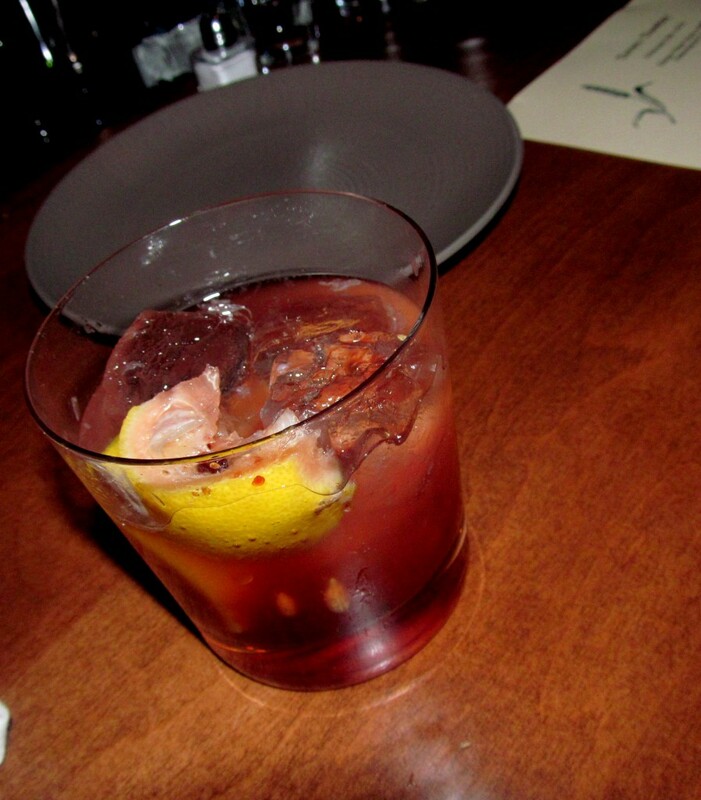 So I made sure it was my first drink this time – the Old Fashioned (bourbon, demerara, flamed orange peel). Each cocktail Chris makes takes awhile to make, but the time he puts into his cocktails can be tasted; they’re worth the wait. 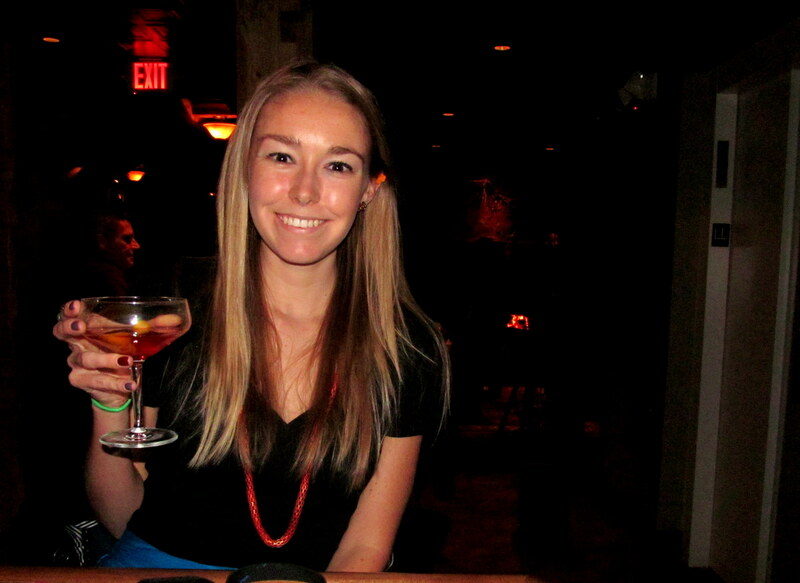 Oh yes, unintentional matching of my necklace to my drink. 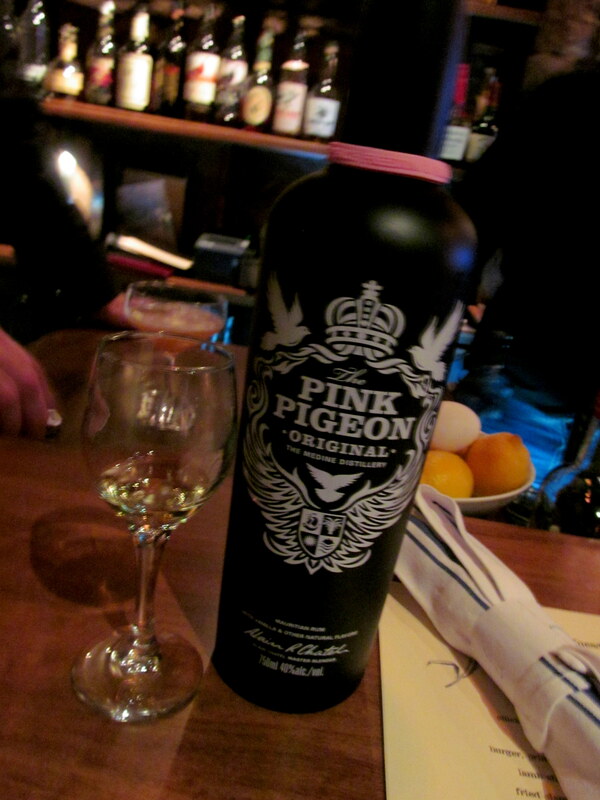 Chris also poured me a sample of a smooth new-to-me Mauritian rum, Pink Pigeon. The name is obviously what first intrigued me but the sweet vanilla-infusion would have kept me coming back for a full-size glass if I didn’t have such a long (snowy) drive home ahead of me. Oh samples…the perks of knowing the bartender. Eventually Walter and I were joined by the lovely Kat (and her little-girl-to-be Penelope! ), and she and I ordered dinner. 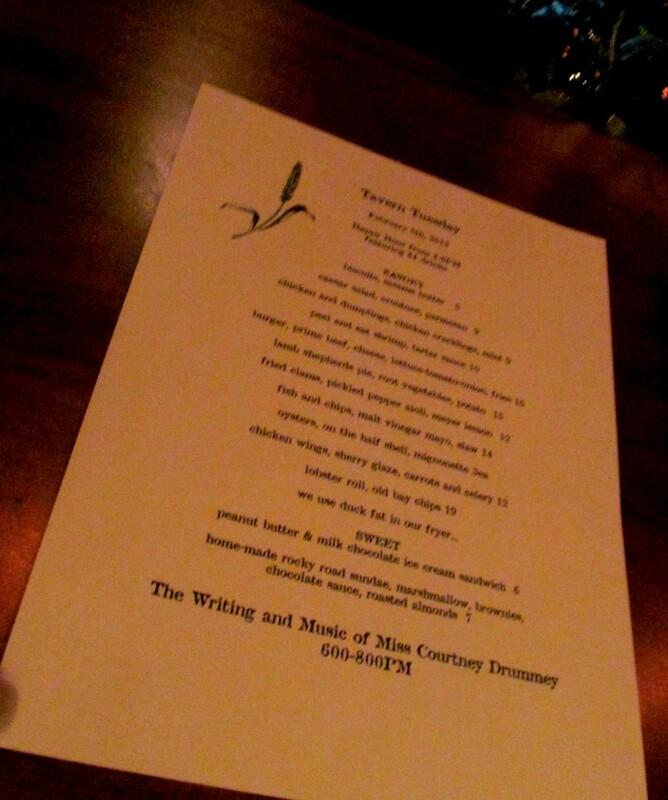 The Tavern Tuesday menu changes each week, though some items are going to stay on the menu for awhile. Kat and I shared almost everything, though before she arrived I ordered up my own plate of the chicken & dumplings (chicken, gnocchi, carrots, mint in a delicious broth) because I was not feeling the whole cocktail-on-an-empty-stomach. I love the way Millwright’s head chef Tyler Anderson puts his own creative twist on dishes that most people could not imagine beyond their traditional versions. I certainly wasn’t expecting gnocchi to play the role of the dumpling, but I also certainly was not complaining. Ever since my first interaction with gnocchi at Tuscany, I’ve been dreaming of having it again! The menu called those little flakes “chicken cracklings”. Mmm, I think they were bits of fried chicken skin! By the time Kat arrived I’d polished off the above dish and wasn’t super hungry anymore, but I did manage to help her out with the legendary homemade biscuits with sesame butter. 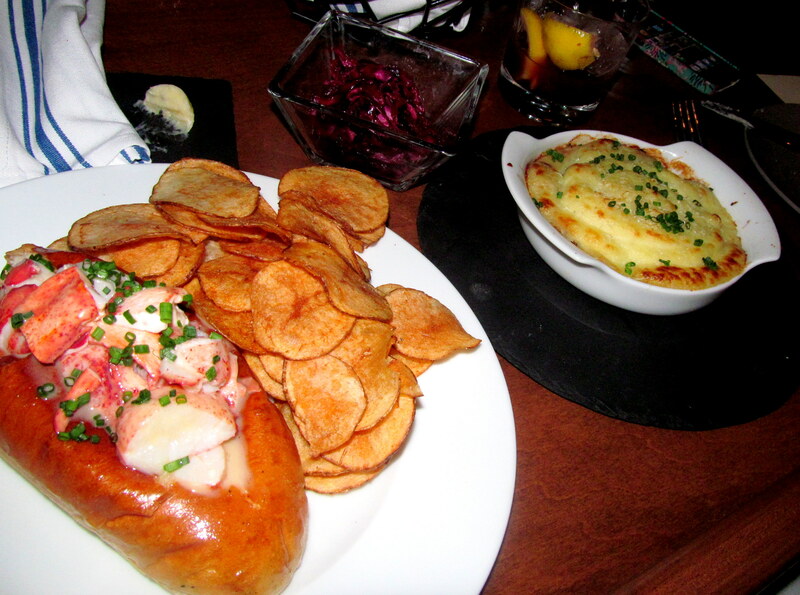 We also ordered a couple main dishes to share: the lobster roll with homemade potato chips and the lamb shepherds pie. Check out all that lobster! I had such a seafood craving and the lobster roll was the item on the menu that would give me the most of it, so that was my first choice. I mostly ate it out of the roll but I did do one “grand bite” with the whole shebang, buttery lobster/roll and all, and man it was heavenly! And that one bite was enough to satisfy my curious craving as to what the lobster roll was like as a whole. After that bite I just wanted the lobster! I do wish there’d been more lamb and root veggies and less potato involved in the shepherd’s pie – I had quite the protein hankering going! The vinegar red cabbage slaw on the side, though, was a surprising and welcome addition. I left the potato chips to Kat, because I am not a potato chip fan in general, homemade or not. Chris (and later, his “protege”) whipped up for Kat a couple glasses of the above mocktail, which contained Meyer lemons, fresh cherries, and “secret ingredients”. Well okay then, we won’t ask, but only because the drink was so darn delicious even without booze. I was honestly bummed that I didn’t know the full dinner menu wouldn’t be served on Tavern Tuesdays, but I also didn’t realize the dining room wasn’t going to be open at all. That’s because Chef Tyler Anderson plans to use Tavern Tuesday to cook up special foodie wine and/or cocktail pairing dinners in the upstairs private dining room (pictured above). With the dining room closed, he can put his full attention to these special dinners, where he will try out ideas for new main menu items and get real-time feedback. Cooking will take place in a small kitchen right in front of diners! 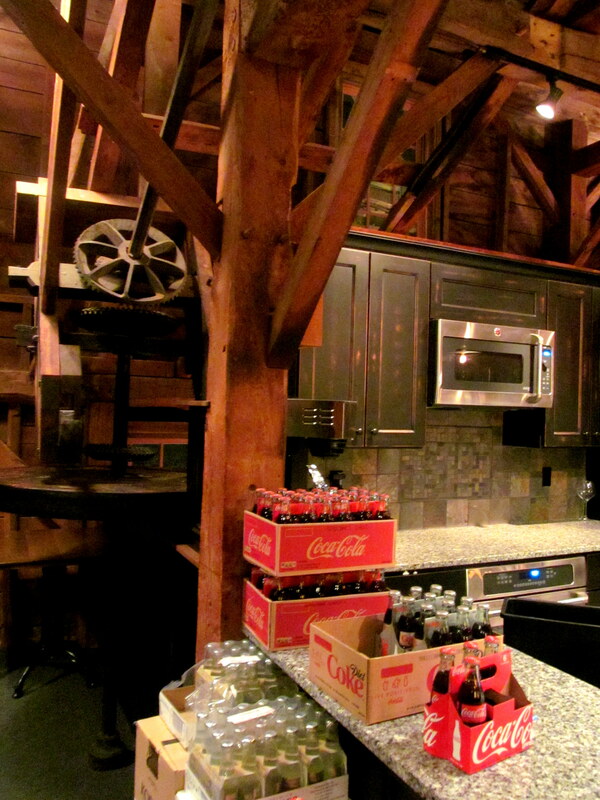 A very special part of Millwright’s resides in this private dining room – a gear from the original mill, which has actually been in that very spot all this time! I’m excited to head back to Tavern Tuesday in the future – AND to both the main and private dining rooms to dine off the amazing full dinner menu and experience a special foodie meal or two! I’m not sure if Millwright’s has any Valentine’s Day reservations open, but check out their prix fixe V-Day menu…you may be tempted to call and make one! 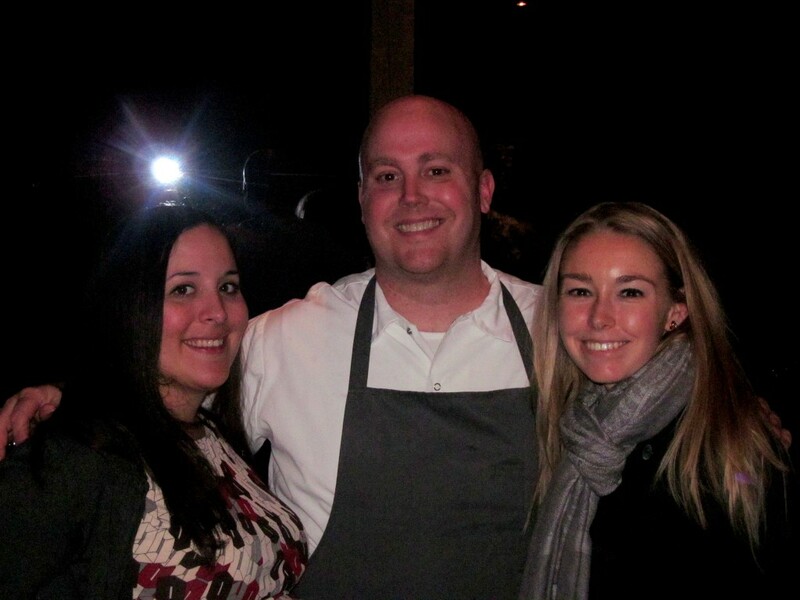 Kat, Chef Tyler Anderson, and me! 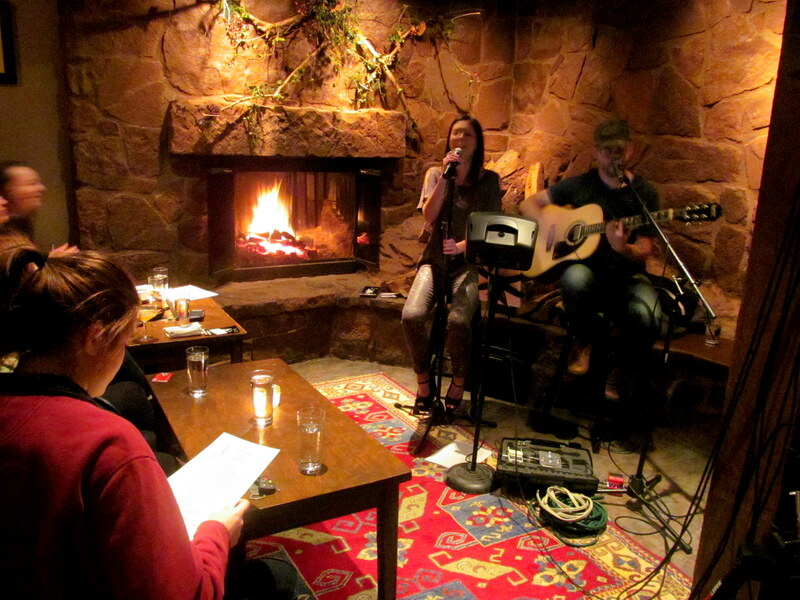 Are there any weekly music nights like this happening at restaurants near you? Do you know of any bar or restaurant that can make a good mocktail?